The Gay Liberation Front held its first meeting in a basement classroom at LSE in 1970. It had a short life and in its wake, numerous gay and lesbian groups emerged. Here, Curator Gillian Murphy introduces the Black Lesbian and Gay Centre in south London. LSE Library holds the Hall-Carpenter Archive, which contains the papers of gay activists and organisations, ephemera and related journals. The Hall-Carpenter files offer a wealth of primary source material about often forgotten or little-known groups. One such group is the Black Lesbian and Gay Centre in south London. During the early 1980s, black lesbian and gay groups in Britain began to emerge, such as the Gay Black Group. They faced homophobia, racism and, for women, sexism. The Greater London Council (GLC), led by Ken Livingstone, had progressive gay and lesbian policies and was keen to award grants to projects which supported minority groups. In 1982 the Gay Black Group approached the GLC to request funding for a centre which would provide advice and counselling, a helpline, a library and other resources. The Black Lesbian and Gay Centre received GLC funding in 1985 and was open to all lesbians and gay men. However, the GLC was abolished in 1986 so funding for the Centre relied on donations and membership. The Centre remained active into the 1990s. 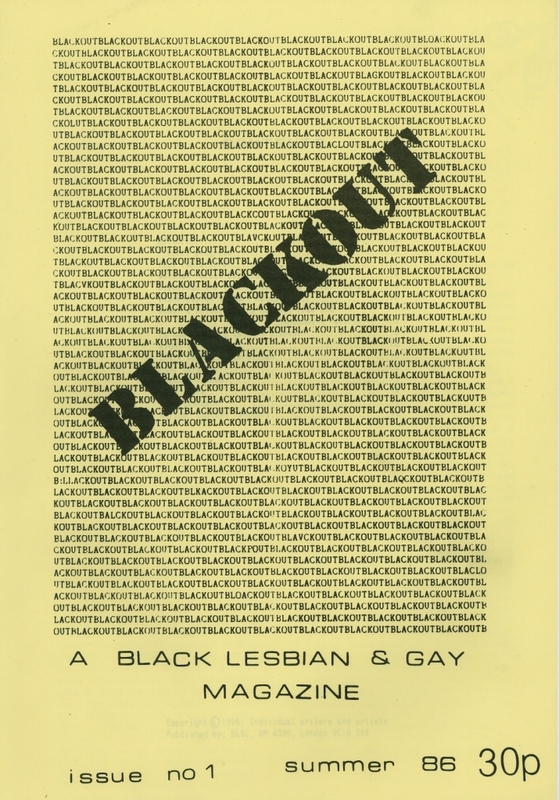 Blackout, a black lesbian and gay magazine, printed its first issue in 1986 providing a forum for the many black gay and lesbian groups that had emerged in London. The Hall-Carpenter archive at LSE is available to researchers. Read more about this and LSE Library’s other unique collections.